HD gaming is a essential part of the gaming experience on the PlayStation 3. Without a HDTV and HDMI cable connected to your PS3, you simply cannot make the most of the high-definition graphics in games like God of War III, Final Fantasy XIII or Heavy Rain. Naturally, upgrading your home entertainment system to HD can be expensive – the cost of the PS3, a new HDTV and the accessories in between can easily exceed $1000 / £750. Luckily, you can save some money on a HDMI cable. We recently had the opportunity to test the HDMI cables offered by www.ps3hdmicable.com, who have a selection of high-quality cables at discount prices. 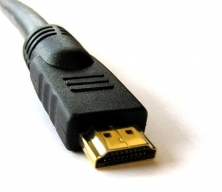 The cables are gold plated and support all the standard HD resolutions including 480p, 720p 1080i, 1080p, and even 1440p (the PS3 only support a maximum of 1080p). The cable also supports Lossless DTS 8 Channel Audio and are triple shielded to eliminate any outside radio interference. Furthermore, the price of the 6ft / 1.8m cable is far cheaper than the official one, saving you $10-$15 compared to the RRP. The official PS3 HDMI cable is 10ft / 3m long, which www.ps3hdmicable.com sell for $14.99, which is cheaper than the RRP of the official one too. In terms of quality, we tested the cable against the official PS3 HDMI cable and a generic / budget cable to see the differences. The cable matched, if not exceeded, the quality of the official cable both visually and audibly. The budget cable fared far worse with clear differences in quality, for example, “snow” on the screen. If you are looking for a cheap but good quality cable, be sure to check out www.ps3hdmicable.com. Available sizes range from 1ft to 50ft and all some with a lifetime guarantee. The company offers free shipping within mainland US and can also ship internationally using the US Postal Service or UPS.